Transitions are complex whichever way we look at them. Leaders typically encounter them in two different contexts. Firstly, it is in the context of hiring a leader under them where they need to make the right choice given the business priorities and cultural nuances. Secondly, it is in the context of their own individual transition where they have to navigate and choose carefully given the several professional and personal variables at stake. Assessment and Development of Leaders - Helping Leaders with the Question - How to grow? Confidential Personal Transition Advisory for a leader who is seeking help with the question - Where to go? 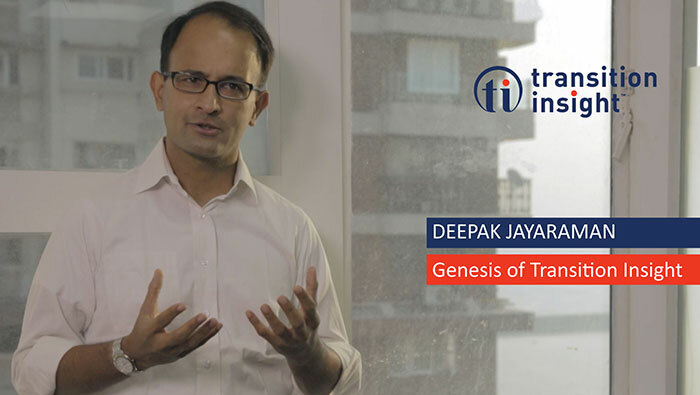 In the video above, Founder – Deepak Jayaraman discusses the genesis of the driving force behind Transition Insight using Ikigai – a Japanese term which literally means “reason for being”. While, by definition, this is a life long enquiry process, reflection along these 4 dimensions of Ikigai led to him starting Transition Insight. Solving complex, multi-variate leadership problems with a coaching mindset. 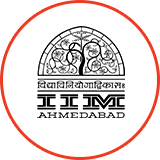 Structuring fuzzy problems and driving leaders to make robust decisions around themselves or their team. Learning from others, curating these perspectives and sharing with the people around me. The thinking here being "I learn, we grow". Running Half Marathons (under 2 hours if tailwinds are favorable), Juggling multiple patterns with 3 and 4 balls, Playing rhythm guitar to entertain my children (until they are able to tell good music from bad). These skills are probably irrelevant in the context of Transitions. Additionally, there is a good chance that I am a victim of the Dunning-Kruger effect. 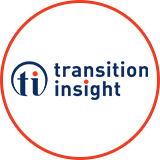 Please refer the Testimonials section which has perspectives from some of the clients and colleagues that have worked with me. Transitions are often lonely phases with several variables at play and the decision often has a disproportionate impact on overall long-term well-being and fulfillment. While there are lot of resources available for a leader to succeed in a role, not much is on offer when it comes to dealing with Transitions. They are often lonely and left to their own devices. To borrow from the British Underground, people seem to need help to “mind the gap” that comes between the various stints in their career. I believe, how we deal with these gaps could have a transformative impact on our life, if handled well. The belief here is “Where there is a will, there is a way; where there is a real need being addressed, hopefully there is a pay”! The Who are an English rock band that formed in 1964. They are considered one of the most influential rock bands of the 20th century, selling over a 100 million records worldwide. I am a big fan of their work. However, that is a discussion for another place and time. Let me get back to telling you a little bit about myself. As a Consultant at EgonZehnder, when I used to interview leaders, I would always find the stories around why they did what they did fascinating. I would learn a lot more about them by understanding how they went about their transitions and what drove them at those moments in time. Similarly, instead of dwelling on what I did in each stint, I feel you will learn a lot more about me by understanding the context behind my transitions. Let me give you a sense of how I went about making my transition choices starting with my choice of Undergraduate education. 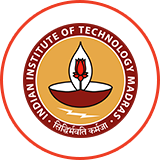 IIT Chennai: Comfort with Mathematics and analytics coupled with peer driven JEE preparation classes in Chennai led me to join Mechanical Engineering at IIT Chennai after my schooling. I do not remember considering any other discipline other than Engineering. I did not have too many people to guide me at that time. I did not know any better at that stage. IIM Ahmedabad: I wanted to pursue higher studies (just to get it out of the way!) and had to choose between a Fellowship at UT Austin and an admission to IIM Ahmedabad – 2 disparate options with very different implications. Decided on a whim to join IIM Ahmedabad based on the notion that I would find it difficult to return to India if I went to the US (I had heard of X=X+1 syndrome). Once again, didn't have a meaningful framework evaluate the two options. 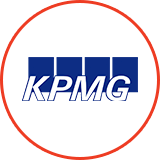 KPMG: I believed that I would be good at problem solving and joined as a Management Consultant at KPMG London. I had to decide between KPMG London and another reputed consulting organization that was offering me a role in Mumbai. The KPMG opportunity was for me to spend ~2 years in London in a newly formed group and then return to India to be part of a team that could revitalize the Indian consulting operation. The KPMG opportunity seemed like a riskier move at that stage. I was about to play it safe and join the other organization but one of my class-mates who had lived several years in the US suggested that I “go see the world”. In hindsight, this has been a great opportunity for me to scale up rapidly in an intrapreneurial environment, experience a different culture and get a peek into the globalizing world. But at that point in time, it was a snap decision, all said and done. 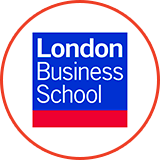 London Business School : After 5 years at KPMG, I was itching to study more and wanted a platform for a global career. I have always enjoyed learning for the sake of learning. While I initially considered a PhD, I was told that if I was not committed to getting into academia, it did not make sense to pursue a PhD. I was married around that time and I chose London Business School over an American school as my wife could pursue employment in London (without visa complications as in the case of US) and it gave me the flexibility to take electives which further built on my experience at IIMA. It gave me another opportunity to come back to London where I had fond memories from my stint with KPMG. 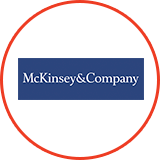 McKinsey: After graduating from London Business School with Distinction, I joined the US offices of McKinsey based on my perceived strengths in problem solving. It was also an opportunity to experience a different culture. During this stint, I built several muscles including - problem structuring, “pyramid principle” driven communication, learning to scale up in a new domain, working with highly driven people from diverse backgrounds to create and implement an impactful solution across a range of business topics. Ian Davis (the head of McKinsey at that time) used to use three terms to describe the effectiveness of consultants. IQ (Intellect), CQ (Capability Quotient - basket of skills including problem solving and communication that were required to be an effective consultant) and RQ (Relationship Quotient). As I grew in McKinsey over time, I discovered that my strong suit was my RQ. That is where I was getting my energy from. EgonZehnder: Moved back to India with McKinsey for personal reasons and took some time off. It gave me an opportunity to reflect deeper on what I liked doing. Till that point, I had only focused on what I was good at but never reflected inward on what energized me. I realized that I derived energy from working with people and making a difference to them (RQ as Ian Davis would say). 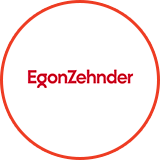 EgonZehnder gave me an opportunity to work in a collaborative environment with a bunch of outstanding colleagues and have impact on clients at the highest level by solving complex leadership problems. Transition Insight: As time rolled by at EgonZehnder, I realized that my passion lay more on the Leadership Assessment and Development side than on the Search side. I discovered that I had more of a “coaching mindset” than a “poaching mindset”. I underwent a transition within EgonZehnder as I started doing more and more of Leadership Development work. Along the way, I also got certified as a CEO Coach. My passion for learning and disseminating also drove me to creating a TED type knowledge platform where I interviewed 20+ leaders across the world and filmed/edited/curated the output so that we could raise the game as a firm in this area. 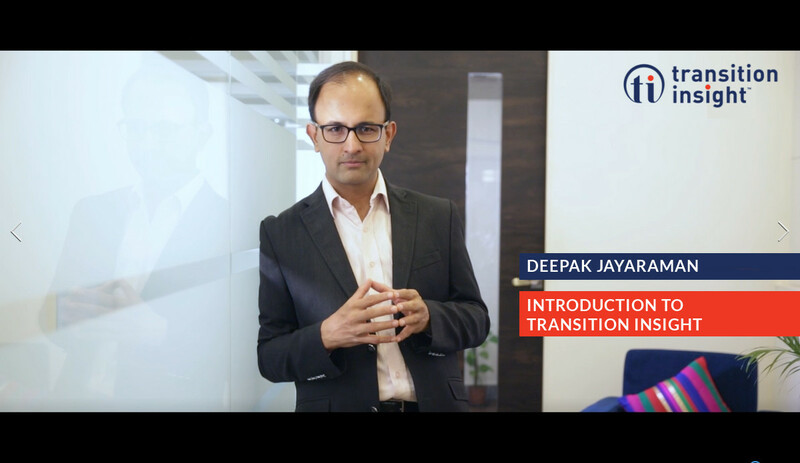 My passion for helping leaders to be more thoughtful about key transitions coupled with a keen interest in creating content by curating perspectives drove me to start Transition Insight.